There’s nothing like a warm, cheesey maccaroni dish! To keep things healthy I made a Turkey Meat White Truffle Macaroni Casserole. This dish is easy and most importantly comforting. The melted, gooey mozarella cheese on top is my absolute favorite. And the rich truffle oil is a nice added treat. it up into smaller pieces as it cooks. 2. 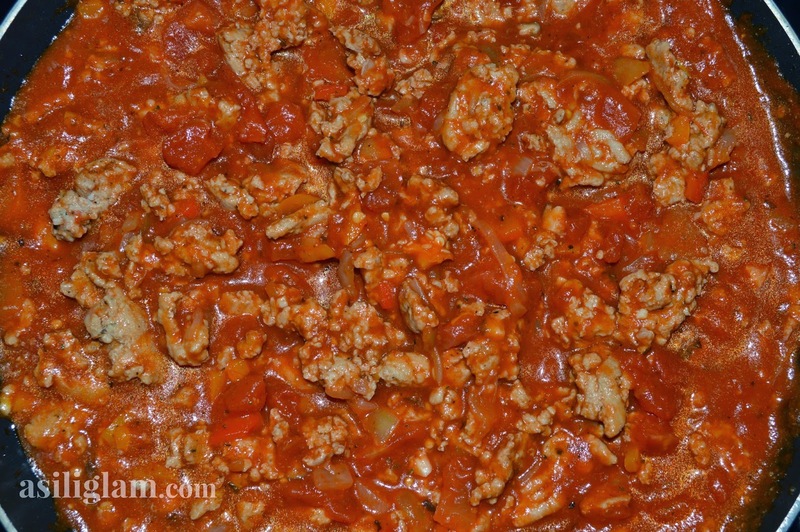 Remove turkey meat from skillet and set aside on a dish. At this point start to boil your elbows in a medium pan with salted water. 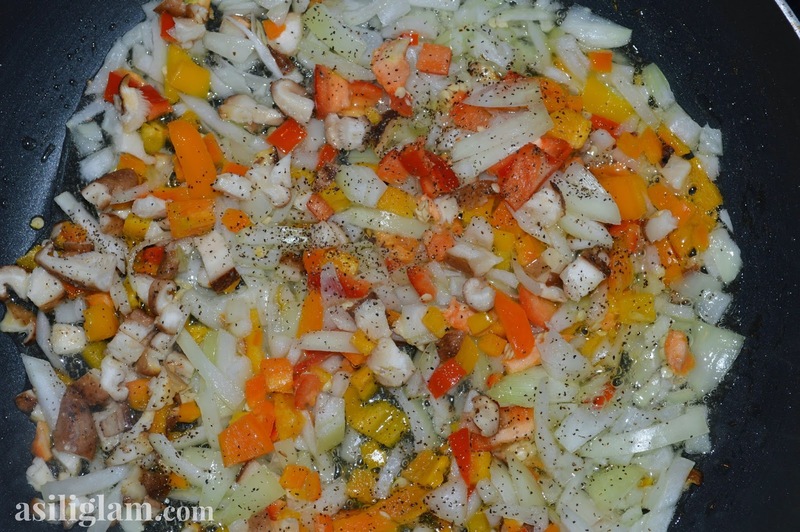 red pepper, and mushrooms ; sauté until the vegetables soft, about 5 minutes. 4. 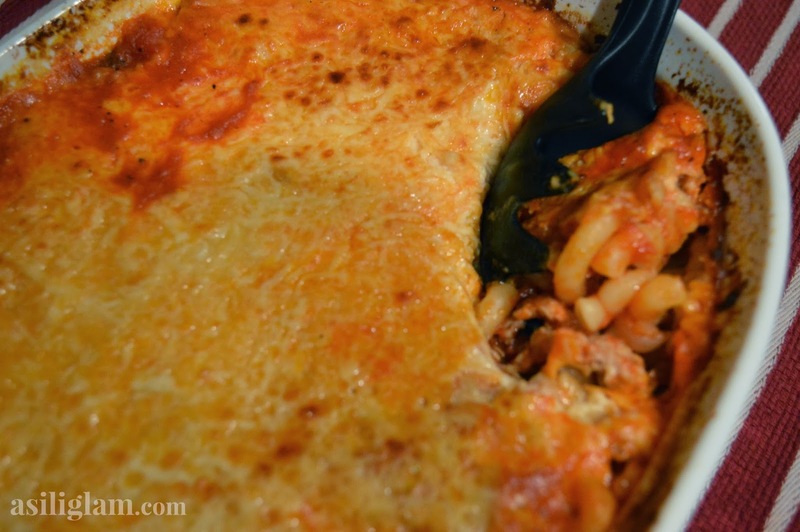 Return the turkey to the skillet along with the remaining ingredients except for the pasta and cheese. 5. Bring to a boil and then lower heat to medium-low and simmer for 20 minutes. While simmering, heat oven to 350°F. 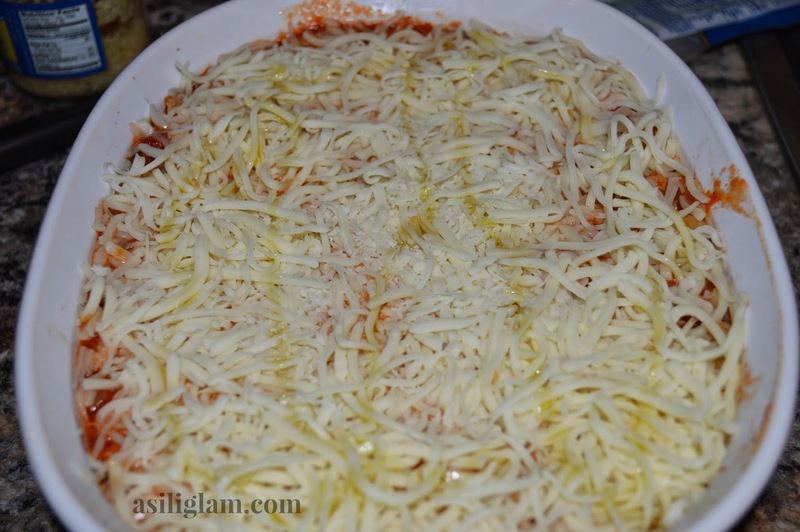 evenly over the top and sprinkle with shredded mozzarella cheese. 7. Drizzle 1 teaspooon of white truffle oil over cheese. 8. Cover with foil and bake 50. Remove foil and broil for 5 minutes to get a crispy crust. Next Post Athens. Mykonos. Santorini.